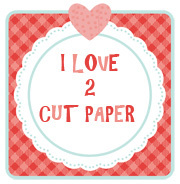 Hi everyone, it's Joanna again as guest designer from ilove2cutpaper sharing with you my project this week. I love making boxes with my Pazzles cutting machine especially at this time of the year as they are so handy for festive gifts. 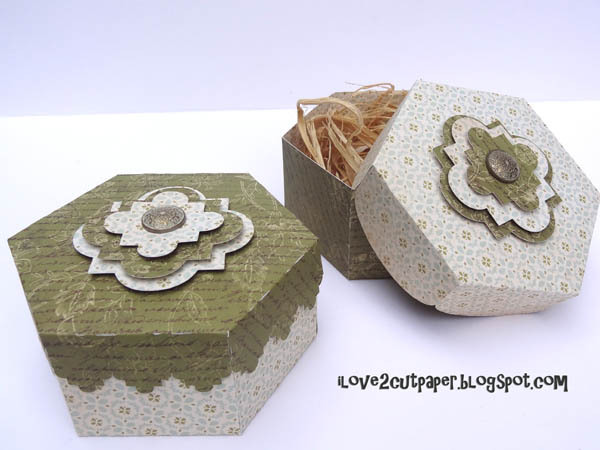 For these boxes I have used svg files from a set which includes different designed bases and lids. The boxes are available in ai, dxf, eps, gsd, jpg, pdf and svg file formats for your cutting machine. I cut these 2 boxes using the same base. Then I cut out 2 different lids in coordinating paper. I decided not to cut out the top centre piece of the lid design so I moved it to the side and made it larger in 2 increasing sizes using the outline feature. 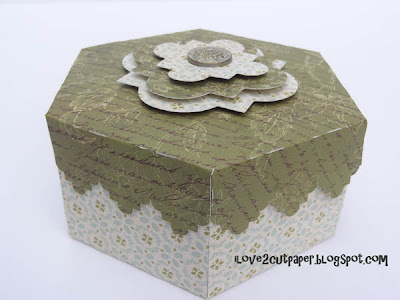 Using different coordinating paper I layered the centre design and added an antique brad to the middle. And here is the inside of the decorative box ready to fill with a gift. 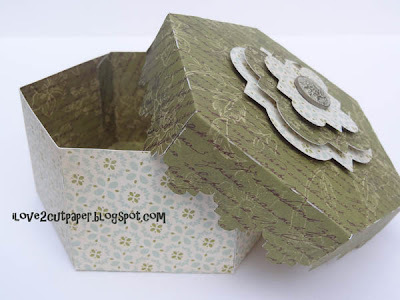 Using double sided paper by Kaisercraft (These Days Collection) made the box really easy to put together. I love this paper so much I think I will have to buy some more! 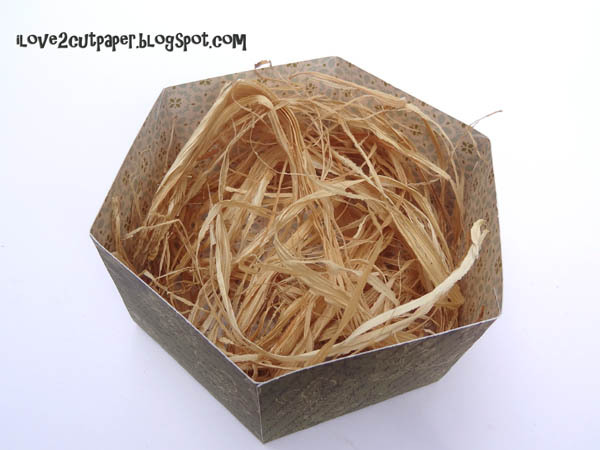 Click HERE to take you to the link to purchase these boxes. Click here to follow my FACEBOOK PAGE.